“My work tends to focus on the natural environment. I am inspired by natural beauty. Often, I use my photographs as part of the process for creating a mosaic piece. 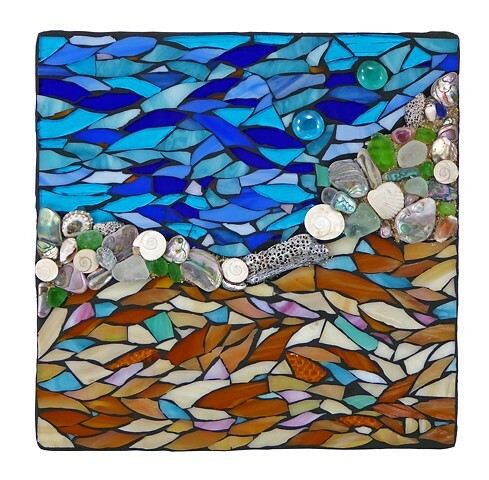 I typically work with glass tile and/or stained glass on a solid substrate (not transparent) or a clear glass substrate (transparent); sometimes adding bits and pieces of found objects into my work.